At Little People’s (People’s), we have a wide variety of Little Tikes products, guaranteed to make your Little People’s Christmas dreams come true. 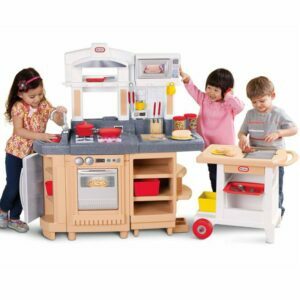 Whether you have a budding chef, mechanic or athlete in your house, Little Tikes will cultivate their imagination. Or what could be better than a brand new playground for endless hours of enjoyment? To view our complete range of products visit us Monday through Saturday – 10:00AM-6:00PM. Remember to sign up for your People’s Card for inside knowledge of deals and promotions! Post by Little People’s Toys.